Our Professional Step & Repeat Banner System includes a banner printed on seamless "blockout" vinyl, pipe and base stand, bag, screwdriver and easy setup instructions. Upgrade to Fabric for just $80. 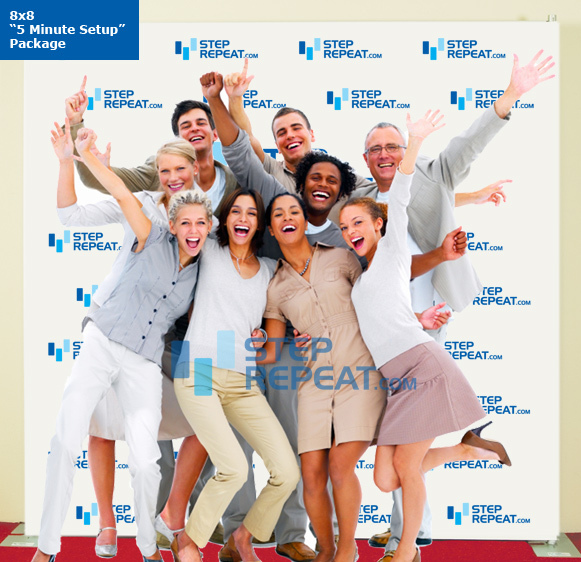 Our Professional Step Repeat Banner System includes a banner printed on seamless "blockout" vinyl, pipe and base stand, bag, screwdriver and easy setup instructions. Same Day Service Available on sizes up to 12x8 if order is approved and paid for by 11:00am P.S.T.